The Sydney Private Hospital (formerly NSW Masonic Hospital) was purchased by Kaizen Hospitals on the 1st November 2000. Following an upgrading of the equipment and some furnishings throughout the hospital, the Management successfully turned the organisation into a profitable business enterprise providing high quality patient services with a strong commitment to outstanding customer focus and Never Ending Continuous Improvement of Services that we see today. The hospital will grow by responding to your concerns. 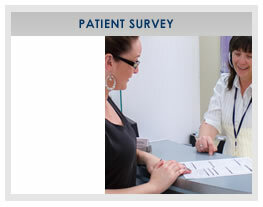 We all want to meet and exceed your expectations as a guest in our hospital. Should you have any concerns about your care at the hospital we would welcome and appreciate your time and effort to tell us. A unique feature of The Sydney Private is the fact that there has been substantial investment in the hospital by some doctors and their families. There are 6 modern Operating Theatres offering state of the art equipment including 2 theatres with laser technology. In addition, we offer Medical and Rehabilitation Services as well as on-site Radiology and Pathology Services are also available.